Glittery lids are just too much fun! I don’t care how old I get. I’m alway going to find a way to sprinkle glitter into my life somehow. 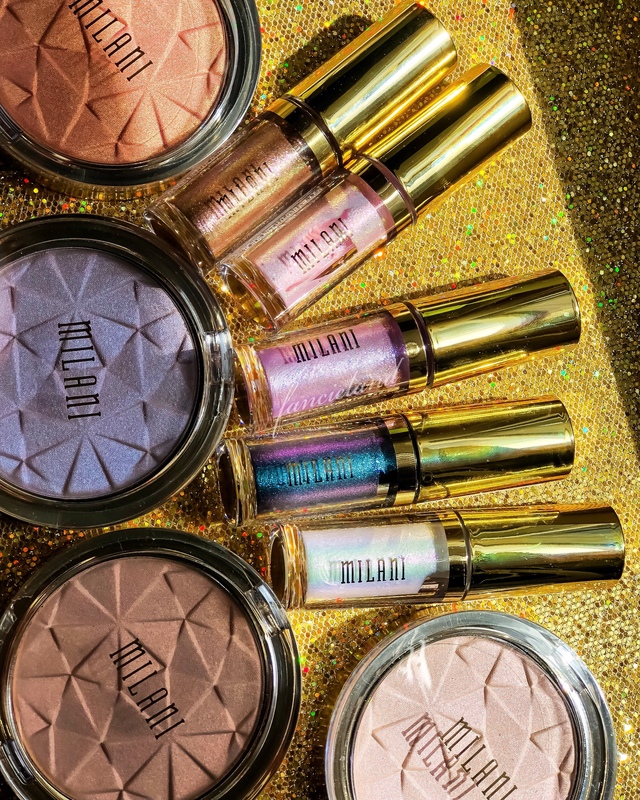 These days, I’ve been getting my glitter rocks off with the new, limited edition Milani Hypnotic Lights Eye Toppers. It’s a new line of liquid eyeshadow decked out with glitter available in 5 shades. The Hypnotic Lights Eye Topper is a duochrome liquid eyeshadow with a water-based formula designed to be layered on top of eyeshadows for a “dazzling, prismatic” effect. The Milani Hypnotic Lights Eye Toppers sport a water based formula that’s tricky to get the hang of at first. I recommend starting off with a small amount, letting it set and building for more intensity. The formula is rather fluid and sheer. So it works well as an eyeshadow topper because it allows the eyeshadow underneath to still peek through. The downside is that the water based formula can break down some shadows so you have to be careful not to apply too much. I also recommend patting the shadow into place versus spreading it. The formula may come with a tricky learning curve but it’s smooth sailing once you get the hang of things. The Milani Hypnotic Lights Eye Toppers take less than a minute to fully set to a sparkly finish that lasts all day without much fallout or creasing. The effect is truly beautiful too! The formula is sheer but you still see a little bit of the base too. Add that with the dazzling duochrome glitter and you’ve got one beautiful effect! Is It a Dupe for the Stila Glitter & Glow Liquid Eyeshadow? The concept of the Milani Hypnotic Lights Eye Toppers is very similar to the Stila Glitter & Glow Liquid Eyeshadow. They’re both glitter liquid eyeshadows but the formulas are totally different. The Stila Glitter & Glow Liquid Eyeshadow has a thicker more gel-like formula that’s more pigmented. Versus the Milani Hypnotic Lights Eye Toppers which are more sheer and watery. The application is obviously different, too. Stila’s version is much easier to apply. However, it’s a lot more expensive for essentially the same effect. Overall, I think the Milani Hypnotic Lights Eye Toppers are pretty decent. They make a pretty good alternative to the Stila Glitter & Glow Liquid Eyeshadow ($11 VS $24). You can find the Milani Hypnotic Lights Eye Toppers online and in stores at your local drugstore or Ulta Beauty!